I do want to transfer music between Android phones, how could I transfer all music files from my Android phone to another phone easily? Do you have the above puzzles ? One of many perks of having an Android Phone is the ability to easily transfer the data between an Android phone and Android, iPhone or a computer. Natively, there are four ways to transfer music from Android phone to another Android phone and each way has its own pros and cons. For example; if you do not have the USB Cable, you can use the Bluetooth or NFC technology in the latest Android Phones to transfer music from Android to Android. On the other hand, if you want to transfer hundreds of songs with the Playlists and artwork, the best way is using the iMusic on Windows or Mac. Transfer Music from Android to Android and Transfer playlists, videos, and more from iPhone6/7/8/x/xs(max), iPod Touch, iPad/Android devices to Mac/iTunes/PC. Out of the 4 ways, the easiest way to transfer music from Android to Android is using iMusic. 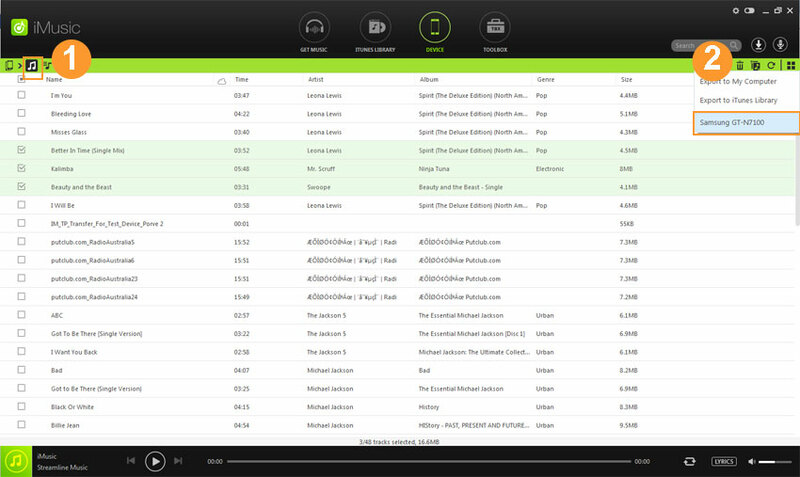 The Windows version lets you send music from one device to another directly. The Mac version allows you to export music from one device to a computer or iTunes, then allows you to add the exported songs to another device without erasing the existing files. Besides, iMusic is an all-in-one music manager, letting you download, record, transfer music, fix iTunes library and discover music. Besides, you can also use this music transfer software for Android to transfer music form iTunes Library and other devices to your Android phone. Please note that the following information tells you how to transfer music from Android phone to another Android phone via iMusic Windows version. If you’re using a Mac, you need to use iMusic Mac version to transfer music from your Android phone to your computer, next, add them to your another Android phone. Simply, download the main file and run this music transfer software on your computer to complete the installation process. After successful installation of the program, connect your Android Phone with PC and launch iMusic. Make sure to enable the “USB Debugging Mode” on your Android. Now, connect the second Android phone with the PC. Go to the “DEVICE” tab and select the Android Phone from which you want to transfer the music files. 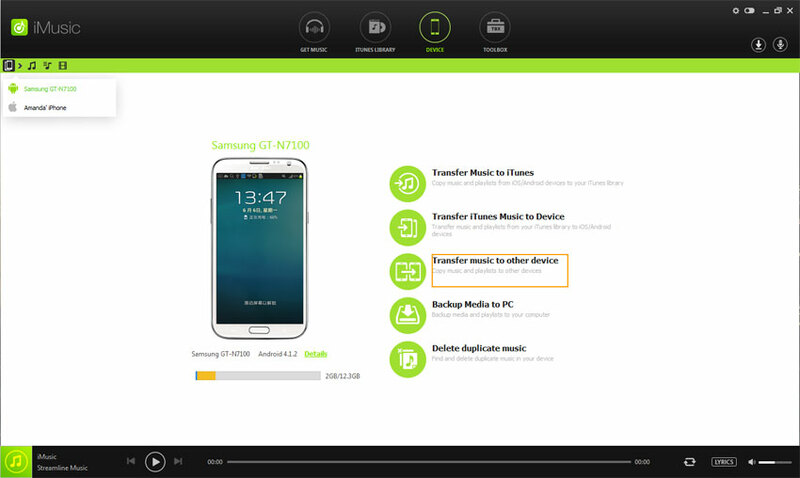 Click on the “Transfer Music to Other Device” and follow the on screen instructions to transfer the whole music library from one Android Phone to the other. If you want to transfer only a few tacks, click on the music icon in the top left corner and select the tracks that you want to transfer to the second Android Phone. Now, click on the little export button in the top right corner and select the second Android Phone. That’s it! 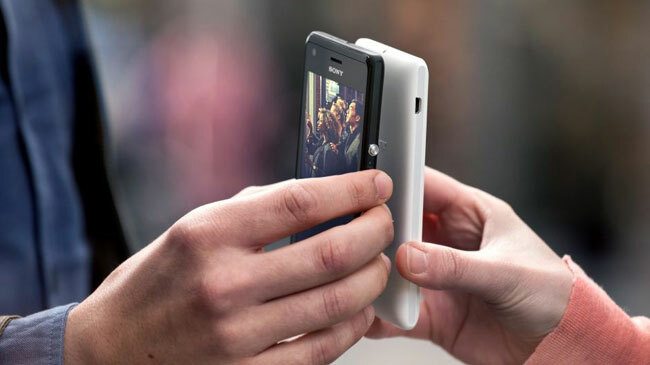 The process may take some time depending upon the number of tracks that you want to transfer to your Android Phone. Although Bluetooth music transfer is out of fashion to transfer music from phone to phone, but you feel could feel free to transfer music from android to android using bluetooth. 1. 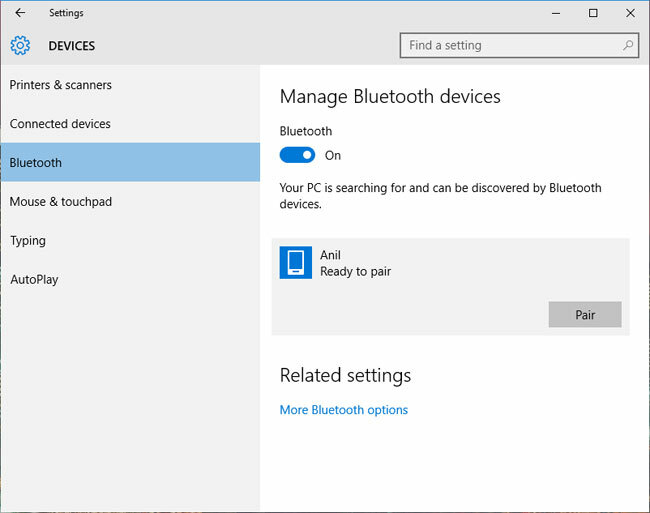 Before you continue, make sure that you have turned on the Bluetooth on both Android Phones and both phones are paired with each other using Bluetooth. 2. 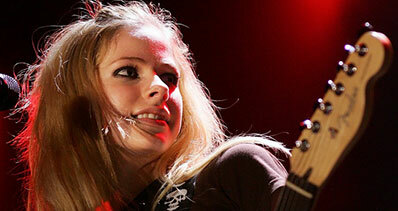 Now, go to the file manager or the music manager from where you want to send the music file and open the music file. 3. Click on the “Send” button which is usually located on the top bar and send via Bluetooth. Click on the “Accept” button on the second Android Phone to receive the file. 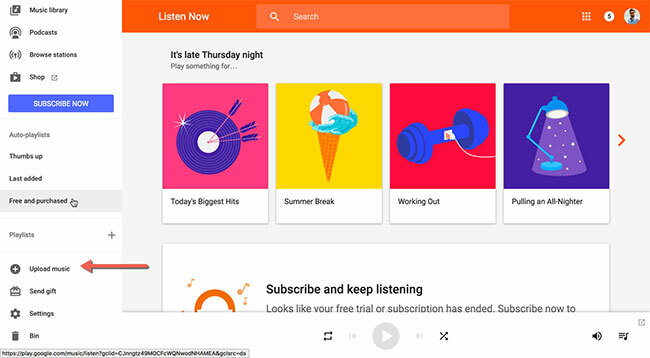 The third method to transfer music from one Android to another Android Phone is using the Google Play Music which will require the Wi-Fi to complete the transfer process. The best thing about this method is that you will not have to connect both the devices. All you have to do is just upload the music on your Google Play Music account and they will be automatically shown on the all Android Phone linked with the same Google account. Here’s the step by step guide on how you can transfer music from one Android phone to another Android phone using Google Play music. Step 1. Go to Google Play Music on your computer and here is how it will look like. Click on the Three lines in the top left corner of the program. Scroll down and click on the “Upload Music” button as shown in the screenshot below. 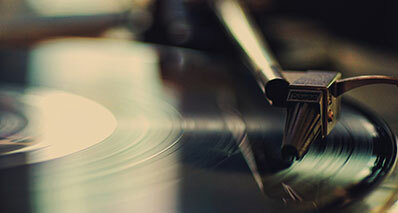 Now, select the music that you want to upload and wait for the web service to finish the uploading process. Step 2. After completion of the upload process, download and install Google play music app on your Android Phone. Login with the same Google Play Music account and it will show all the tracks from the online service. This method will not work for all users as Google Play music is not available in all countries. 1. Just like Bluetooth, enable the NFC or Near Field communication on both Android Devices. Normally, the settings for NFC are present in the Wireless and Network on your Android Phone. 2. Once NFC is turned ON, open the music library or file manager on your Android Phone. 3. 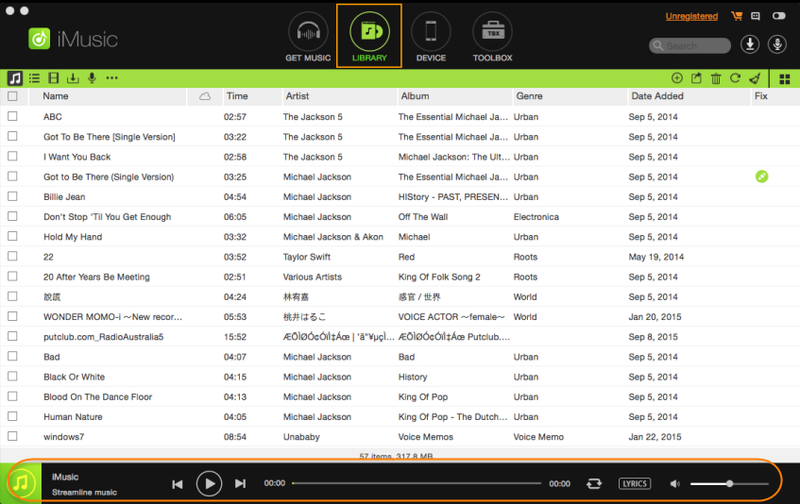 Now, select the songs that you want to send and bring the both devices closer. As the devices get closer, you will feel vibration and the process of transfer will begin. 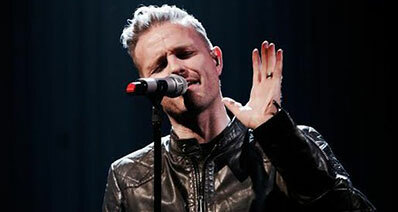 Wait for a few seconds and all the music from one Android will be transferred to another Android Phone using NFC. Conclusion: In summary, We do hope you could have enough choice to transfer music from android to android , iMusic could also help you to backup songs from Android phones to PC/Mac . Welcome to have a try of it ! 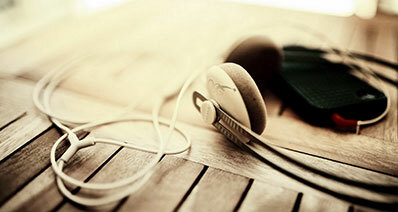 Transfer music from one phone to another without erasing existing data.